All the components of a bacon cheeseburger wrapped up in a flour tortilla. These are delicious! Brown ground beef in a large skillet over medium-high heat. Drain any grease. Add cooked chopped bacon, Worcestershire sauce, ketchup, minced onion and salt and pepper to beef. Stir to combine. 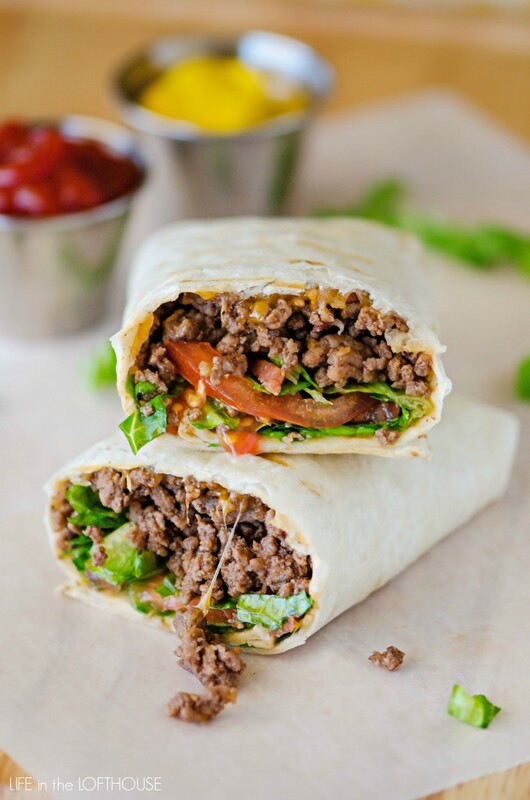 Place wraps, a couple at a time, onto a preheated indoor grill and grill for 3-5 minutes, or until cheese is melted. Carefully remove wraps from grill and place on a plate. Gently unravel wrap to add some lettuce. Re-roll wrap and then cut in center diagonally. Serve immediately and enjoy!